Our rustic, practical, romantic and pretty things bring memories of happy times gone by. Among our wonderful products you will find the perfect decorations for your home and the best present ideas for your nearest and dearest. Our fresh linen and cotton textiles give a finishing edge to your table setting. Our small jars and pots hide the sweetest scents, candles and soaps. Your presents will be wrapped in charming parcels as an extra treat. For your garden, terrace and balcony we have pots, tools and decorations, perennials and annuals and – our pride – over fifty varieties of peonies. 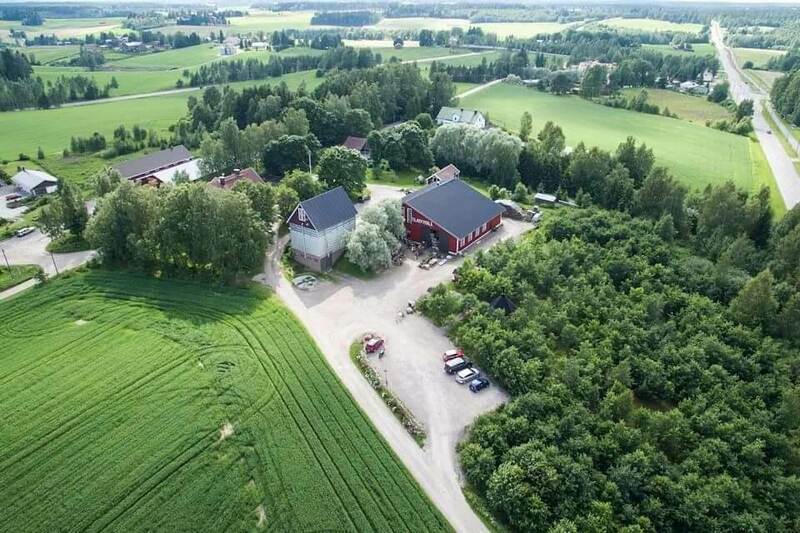 Kinnari Farm grounds it flours from its own crop – fresh Finnish local produce at its best. Our genuine and unprocessed oat flakes cook fast into a healthy meal. We make delicious cookies, crisps, pies and many other titbits. At Christmas our own spiced wines warm up any occasion. You will also find products from local farmers, for example cheeses, sausages, chocolates, spices and sweets. Our handmade delicacies are day fresh and made of our own flours in our on-site bakery. The raw materials are from local producers. Our products are lactose-free, some also gluteine-free. Our rye breads are made with sponge collected from old dough troughs – crisp on the outside and mellow on the inside. Grab a tasty home-coming treat! We will be glad to give you an offer for your club, company or happening. Our genuine Laplandish tepee hut has room for a bigger party and is ideal for a meeting. Birthday parties, farm excursion, company recreation – you name it! Our premises are fully accessible for visitors in wheelchairs.